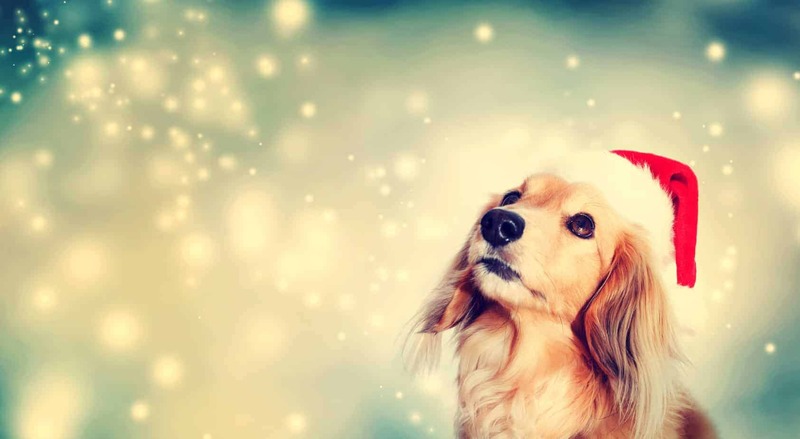 Plan ahead to protect your pup from dog holiday dangers. The holidays are a magical time. 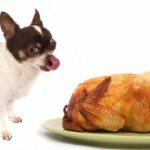 But unfortunately, many of the things that bring you joy — special foods, decorations, celebrations, and travel — can be dangerous for your dog. But with a little planning, you can celebrate and take precautions to keep your dog safe. Alcohol can cause respiratory failure, central nervous system depression, abnormal blood acidity, coma, and death. Chocolate, coffee, and caffeine can cause abnormal heart rhythm, seizures, and death. Onions, garlic, and chives can cause red blood cell damage. Sweets and baked goods, especially if made with the artificial sweetener xylitol, can cause liver failure and death. Yeast dough can cause fatal stomach bloat. Nuts (macadamias, almonds, pecans, and walnuts), as well as fatty meats, gravy, and turkey skin, can cause vomiting, diarrhea and potentially deadly pancreatitis. Keep them all out of reach, according to the American Veterinary Medical Association. Also, be sure to warn friends and family of the potential danger. If they aren’t around dogs often, they may not realize how treacherous it can be to slip them a treat under the table. Worried about what your dog ate? Program your veterinarian’s phone number on your smartphone. To be extra safe, be sure you know the hours and location or the closest emergency animal clinic. The ASPCA also provides a poison control hotline at 888-426-4435 or download the organization’s mobile app to access to potentially life-saving information. Many holiday decorations can be a threat. 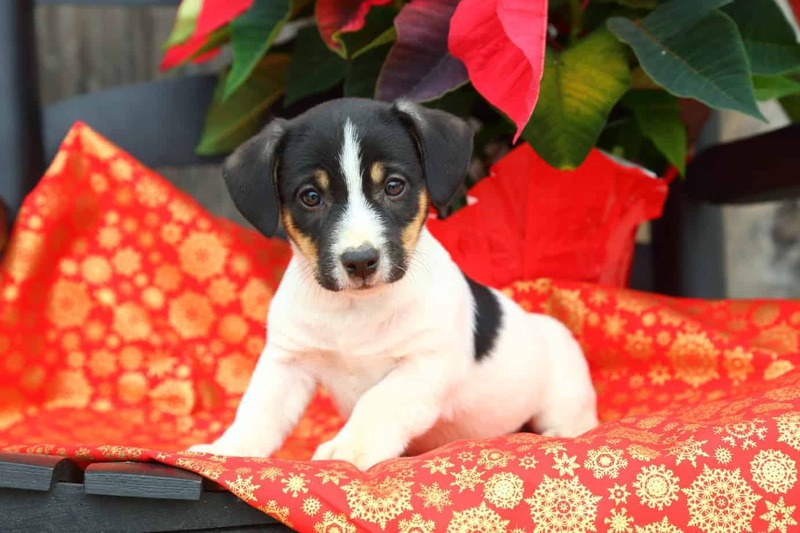 Don’t let your pup chew on pinecones or nibble on your poinsettia. Mistletoe and holly are poisonous. But the biggest danger is your Christmas tree. Be sure to anchor your tree securely. You wouldn’t want a playful puppy to tip it over. Consider hanging ornaments and light strings out of reach, especially if you have a puppy that likes to chew. Cover water containers for live trees to prevent your dog from drinking. Water can contain any fertilizer or chemicals previously sprayed on the tree. Any additives in the water to keep the tree fresh also can be harmful. And never leave lighted candles unattended with pets around. 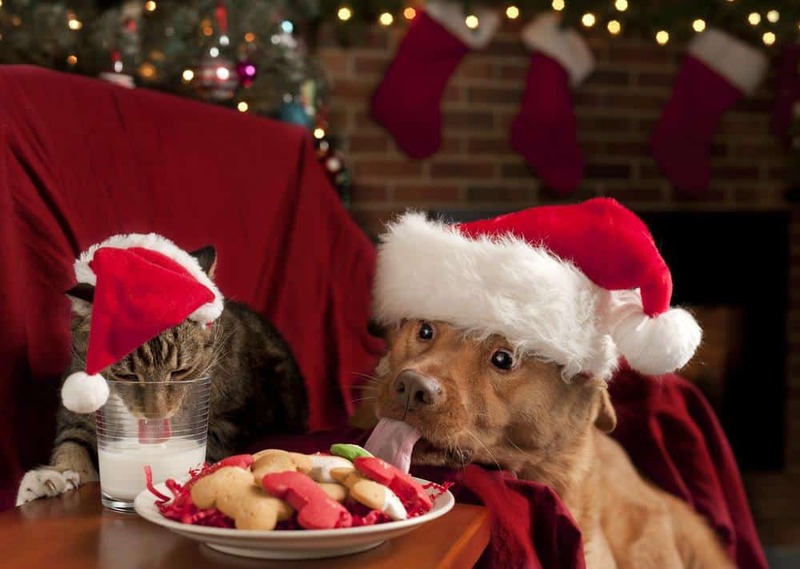 Even if your dog is friendly, consider parking her in a secure room or her crate during holiday festivities. Not only will this put any guests who are nervous about pets at ease, but it will also keep your pup safe. Keeping them out of the way will eliminate the risk they eat something dangerous and prevent escape attempts as guests arrive or depart. If there’s no room for your dog at grandma’s house, consider whether your dog will be happier at home with a pet sitter or at a kennel where they can play with other dogs. To find a reliable pet sitter, visit petsitters.org. 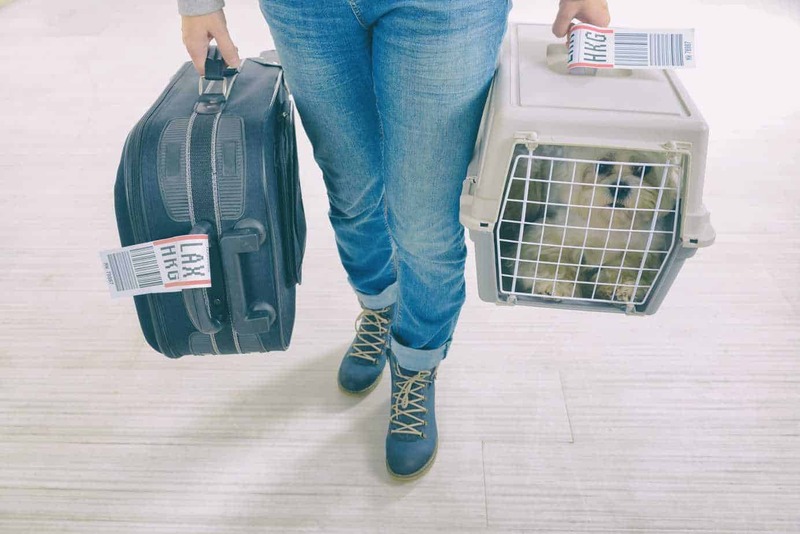 To find a boarding facility, start with recommendations from friends or your veterinarian. You can also check with the Better Business Bureau to see if the kennel you’re considering has any complaints on file. Don’t know where to stay? 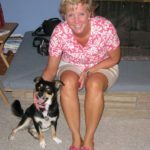 GoPetFriendly.com is a handy resource to find pet-friendly hotels, restaurants, and attractions. 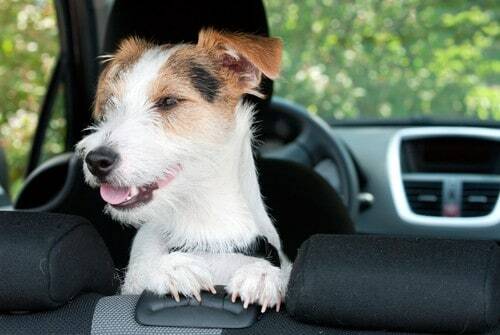 If you haven’t gone on a road trip with your dog, take a few shorter rides around town to make sure you don’t have a nervous traveler or one who suffers from motion sickness. To make your trip more pleasant, consider bringing your dog’s food and some water from home, as well as favorite toys or blankets. Take frequent breaks to let your dog stretch his legs and go potty. Traveling too far to drive and want to take your dog on your flight? Start by researching the airline’s policies and book a direct flight if possible. The ASPCA recommends putting your dog in a well-ventilated carrier that can go under the seat in front of you, but never in an overhead bin. Air travel can be extremely stressful for your dog, so whenever possible find another way to get from point A to point B. 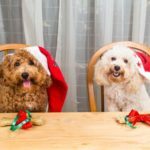 The list of holiday dangers may seem daunting, but with a little planning, and perhaps a little judicious use of your dog’s crate, you can celebrate the joys of the season and still keep your pup safe. Sara B. Hansen has spent the past 20-plus years as a professional editor and writer. She decided to create her dream job by launching Dog’s Best Life. Sara grew up with family dogs, and since buying her first house, she’s had a furry companion or two to help make it a home. 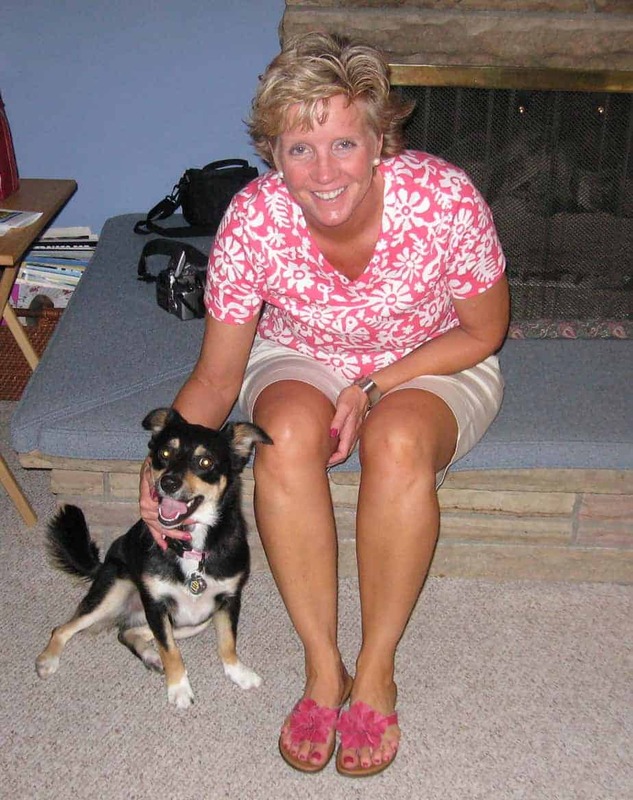 She currently shares her heart and home with Sydney, an Australian Shepherd-Corgi mix. You can reach Sara @ editor@dogsbestlife.com.